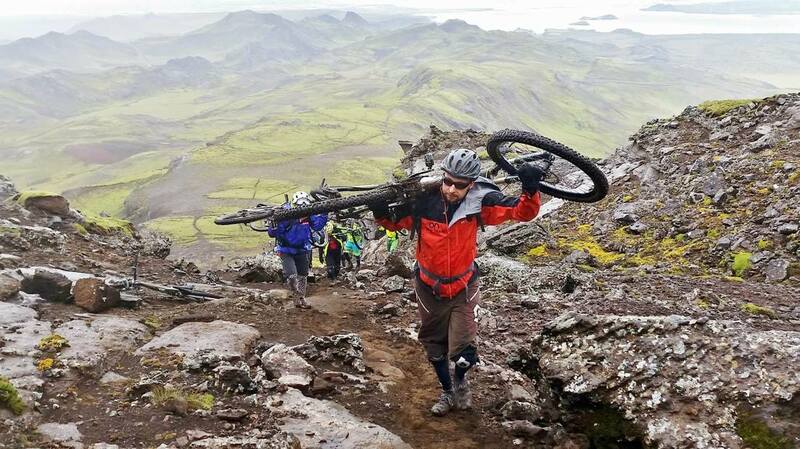 Enduro Iceland was established in 2014 when the first Enduro event was conducted in Iceland. From the start we have emphasized the fun factor, experience and companionship while also making sure the race is executed in a professional manner. 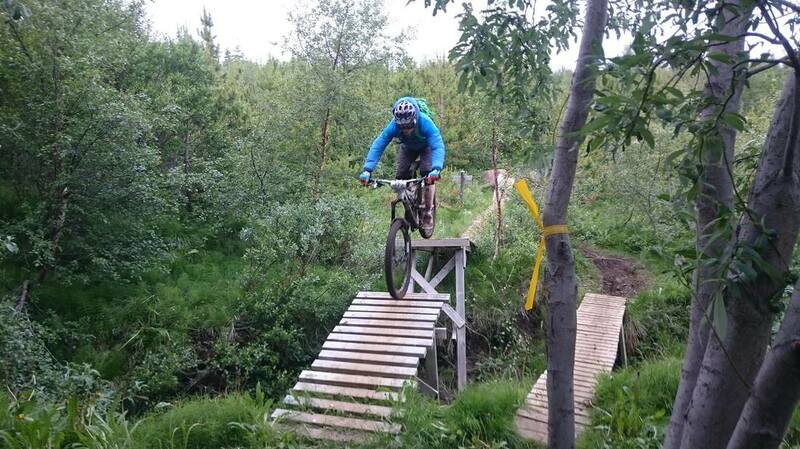 The Springfest 2018 will mark the 11th Enduro event organized by Enduro Iceland. Timing is based on the common SPORTident system using finger chips. The post-race party is something we take seriously :). Number of participants is capped at 80-120. We welcome all foreign participants. You will be required to sign a personal liability waiver and will take full responsibility for your own safety. While it has never happened, weather in Iceland is unpredictable and we reserve the right to postpone a race with short notice if weather conditions become hazardous. In 2018 we will host three Enduro events in Iceland. Spring, Summer and Autumn. Each with their own flavor. Springfest takes place in the greater Reykjavik aria. Start around 10:00, targeted to finish around 15:00. Followed by a post-race party with food and drinks lasting for a few hours. Track: The track will be posted one week in advance. See the Icelandic page and look for Kort og Ferlar - > GXP and KMZ download. Timed stages are not published and will be raced blind. Summerfest will be conducted in collaboration with the The Runners´ Festival which is an annual event in the Ísafjörður/Þingeyri area in the West-fjords (5-6 hour drive from Reykjavik). Start at 10:00, targeted to finish around 16:00. Followed by a post-race party with food and drinks lasting for a few hours. The Autumnfest is the flag-ship event of the year hosted in the vicinity of Reykjavík. This is a two day race for the A-group, Friday and Saturday. The A-group joins the B-group on Saturday and both groups ride together. On the Saturday we are expecting a 5-6 hour travel. Saturday ends with a GRAND post-race party with food and drinks lasting for a few hours. Final details for each event will be posted with about two weeks’ notice. Due to local conditions we are not able to honor the official Enduro rules to the fullest extent but we do our very best to stay within the general guidelines. Age limit is 18 years. You have to have turned 18 by race day. You are solely responsible for proper timing operation (punch in and out of time gates). You are solely responsible for navigating the entire course on your own. It is your duty to stop and help potentially injured participants which you may encounter. Nobody rides alone, you are required to ride in pairs of two or as a part of a larger group. We call this the buddy-system and it is a matter of safety in the unforgiving nature of Iceland. Singles are assigned to groups by organizers on race-day. The bike has to fall in the category of mountain bikes. Event organizers reserve the right to reject bikes which are deemed unsafe. We encourage use of Full face helmets while not a requirement. The Icelandic terrain is seldom soft. A rider seen without a helmet whilst riding will be disqualified. We strongly encourage use of kneepads, gloves and other body armor. Basic "first aid kit" to deal with cuts and wounds. A backpack is required to carry the mandatory equipment and it must be carried in transfer- and timed stages. A failure to carry the mandatory equipment results in a 5-minute penalty. Riders are a subject to random inspection and have to prove that the mandatory equipment is carried. Timed stages have to be completed in the correct order. Course markings: Due to the nature and extent of the course, way markings are limited. We still do our best to make timed stages clear. The rider is generally responsible to navigate the entire track. Course cutting is prohibited and will result in a minimum of 5-minute penalty and potentially a disqualification. The course, transfer- and timed stages can be outright dangerous. You are responsible to know your own limits and ride within your own safety. Each participant receives a single timing chip. The chip is to be mounted on the right hand. No special start order is managed, each racer starts individually and on his own. Our Race leader always rides first. Under no circumstances can he be overtaken by another rider. In the case a faster rider catches up another slower rider, the slower rider must give way as soon as it is safe. Repeating a timed stage: In the case a rider encounters an injured rider in the track he is required to stop and help. In that case the timed stage may be repeated. Or if another rider completely blocked the track due to some problems, the timed stage may be repeated. In both cases the rider blocking the track will have to bear witness to the time judge and account for the event. Repeating timed stages is not allowed under any other circumstances (such as punctures or malfunctions). Rider causing harm or damage to other participants due to reckless behavior will be disqualified. We ask for your pledge to do your absolute best to preserve the Icelandic nature and stay on course the entire time. Give way to pedestrians, be courteous and no littering. Event organizers have the full and final decision. We lack resources to maintain the entire website in two languages but here is a map to the website explained in English. Results - Here you can see how results are presented and the level of detail we provide. The results are published on-line during the post-race party. Detailed information on events - Here you will find earlier GPS tracks, maps and stage analysis to help you evaluate what sort of task those events are. Tips and equipment - On the lower part of the page you will find a graphical presentation of equipment packing. The first two slides illustrate the required minimum, the third a good compliment and finally the fourth a well prepared backpack for our conditions. The Icelandic nature in conjunction with the local weather phenomena can be unforgiving. On an island, far up north in the Atlantic sea, weather is unpredictable and can change fast. Single mountains can also harbor their own little micro climates with even less predictability, attracting clouds and magnifying wind . Thus, no matter the time of year, we always have to be prepared to endure extended wait for rescue in harsh conditions. In such case it is of paramount importance to have the ability to change into dry cloths. A dry base-layer plus a wind-stopper-rain-jacket and trousers will do the trick. A hat/buff, dry gloves and socks will proof a very nice compliment. Our terrain will throw everything at you. Any given event course will traverse through an ever changing terrain. Varying types of raw lava, sandstone, loose, rocky, sand, mud, hard packed trails and all possible cocktails of the before mentioned ingredients. Generally the locals who ride aggressively have to sport tires with reinforced sidewalls. Most things hard tend to be sharp end edgy as well. A downhill tire is not really a bad choice. The island is essentially a super new volcano in geographical terms and weathering has not had the time to grind it down and file the edges off.